The Best Web Design Bundle 2018 from DesignWebKit: What is Inside? The Best Web Design Bundle 2018 from DesignWebKit: How to Get It? If you are a busy designer that wants to optimise the workflow, then a web design bundle can be your lifesaver. However, how do you know that the bundle you are about to get will be beneficial for your job? Well, two simple factors can help you to differentiate between a top-notch web design bundle from the less impressive tools. The first factor to consider is a website building company behind the scenes. The more established a website company is, the more satisfied customers it has, the better web design tools it develops, the more time you can save thanks to a web design bundle. The other factor is a team that compiles a web design bundle. When combined successfully, the two factors can work miracles. 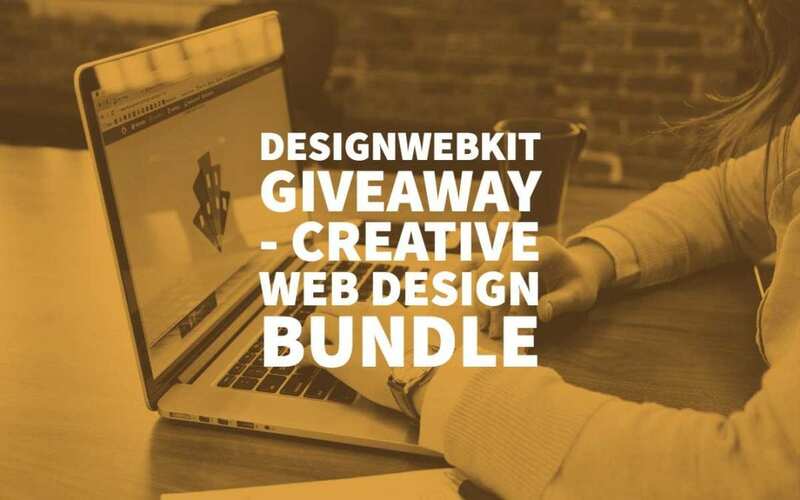 Now that you know what to look for in a web design bundle, we are happy to announce the DesignWebKit Giveaway 2018! 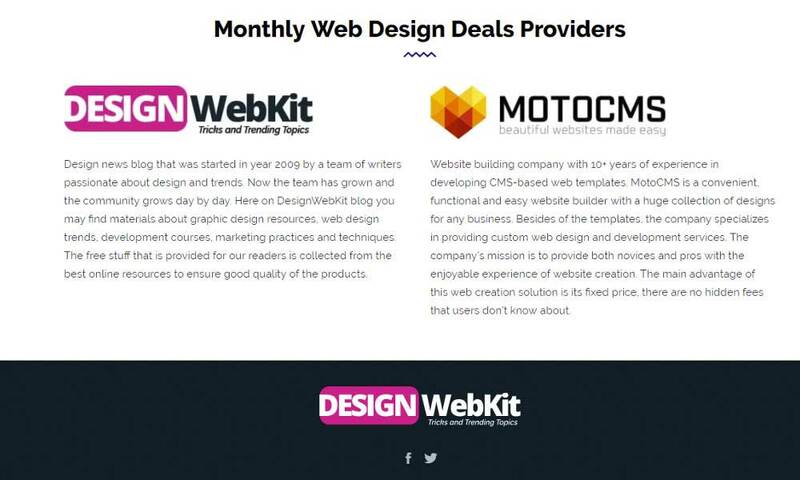 Created as a result of cooperation between DesignWebKit and MotoCMS, this giveaway is a real bargain. Get ready to grab the ultimate solution for optimising your workload to the fullest. All the instruments you will find in the DesignWebKit Giveaway 2018 have been hand-picked by the professional design news blog team to cater to the needs of web designers. Long story short, it is time to examine the tools you will find in the web design bundle from DesignWebKit and how you can get it. The bundle under discussion contains more than 12 types of design instruments that you can make use of right now. Available in five different formats (AI, JPG, EPS, PGF, SVG, PSD), the logo templates are 100% editable. Feel free to change the colour palette and switch between vertical and horizontal layouts easily! Written in the clean code, these themes are ready-made multi-page website prototypes. Equipped with numerous widgets, like social media options and video players, HTML website themes are easy to customise regarding the content and the layout. These designs are created for building and maintaining the substantial online presence on Instagram. Impress your Instagram followers with the unconventional product presentation layouts and attention-grabbing graphics. All niche-specific and visually attractive, the PowerPoint presentations from MotoCMS will save your time when you need to meet the tight deadline. Enjoy the numerous unique slides available in different colour schemes to impress your audience the moment you start speaking. Thanks to this professional set of banners, your AdWords campaigns will win your lots of loyal customers. Switch between 10 sizes to find the right balance for your website. Present your skills or skills of your customers in the best light thanks to the fully-customizable resume templates. Get ready to use two layout options (with and without a photo) and implement the handy QR code if needed. Compatible with Adobe Photoshop and 100% customizable, the cover photos on Facebook can draw the additional attention to your products and services. Feel free to choose the photos that suit your business niche best and attract the potential clientele in no time. Created for ambitious website owners that know the real value of social media, these PSD images are of the highest quality. Using them on a website or popular social media is like waving the magic wand when it comes to perfecting the designs for your customers. There is no need to reinvent the wheel if you need to create a recognisable corporate identity set. Make sure that all your stationery (business cards, corporate envelopes, and presentation folders) looks consistent and professionally designed with our web design bundle. Perfecting websites with elegantly customised icons is much easier if you are offered a set of them in three popular formats. You can use the icons for any printed materials, infographics, and the web design projects of yours. Increase the brand awareness with to the polished images for your YouTube channel(s). Designed specifically to address the YouTube platform, these templates will sure thing contribute to the growth of your audience. Helping your customers create memories with certificate designs s for all sorts of events. Fully customizable and visually attractive, these designs will save you lots of time and effort all year round – from Christmas to Thanksgiving and more. The giveaway contest will run from the 27th July 2018 till the 20th August 2018. In practice, it means that you will have two full weeks for making your bet. To take part in the giveaway, you need to take two steps. First, leave a comment under this post about why you need the bundle. After that, share the article on the social media. If to paraphrase the famous quotation – Nothing fancy, just the best web design bundle. Once the giveaway contest is over, we will select (and verify) one random winner on the 20th of August, 2018. It goes without saying that the winner will be notified about the result of our giveaway contest immediately. Not only will the winner get to enjoy the best web design bundle 2018, but also – wait for it! 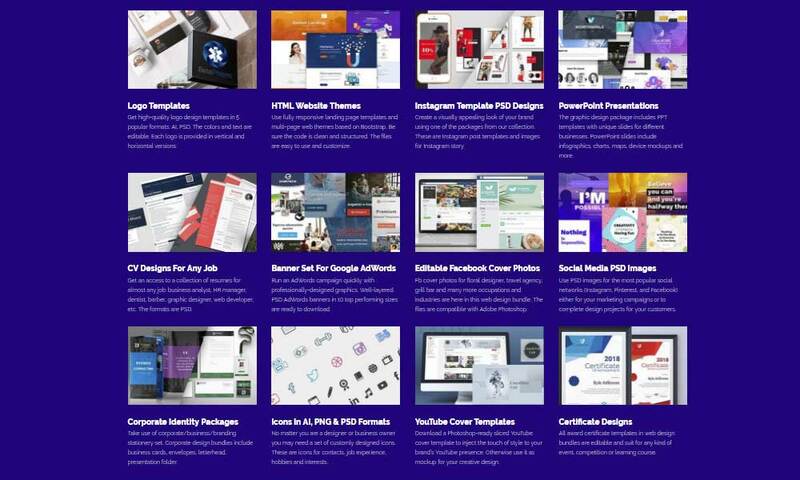 – (s)he will have a chance to get all the new designs from DesignWebKit for free during a one-year period. So, give DesignWebKit Giveaway 2018 a go and leave a “Why I need this web design bundle badly” comment right below. Once you share this post, you are officially a DesignWebKit Giveaway entrant. Let’s have the fingers crossed and see what the 3rd of August might bring you as a present! This bundle would be a great addition to my creative library. I am starting to explore freelancing as a side job to help with future employment and having high quality design elements would be an immense help. 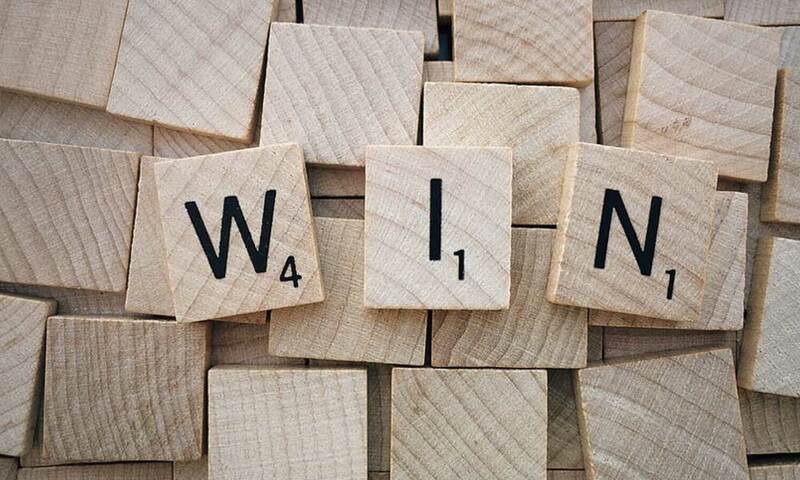 I would love to win the bundle, because I am starting a few commercial web projects with a friend, and this tools would allow us to rocketeer into success for sure!